Grant to improve the quality of education in Rajasthan by supporting Educate Girls to tackle the root causes of gender inequality and empower rural communities. Educate Girls is a charity partner of The British Asian Trust, which was founded in 2007 by HRH the Prince of Wales. Three-year grant of £35,000 per annum for 2012-13, 2013-14 and 2014-15, subject to satisfactory report at the end of each year. India has the largest illiterate population in the world and 46% of girls in India are child brides. 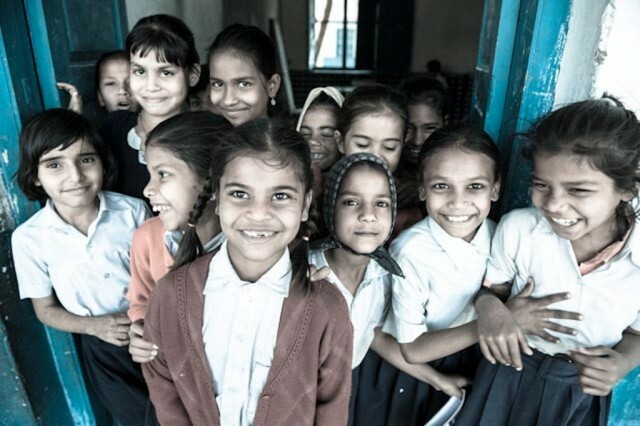 Educate Girls works in Rajasthan, which has 9 of the 26 most backward districts in the country. In these districts the ‘gender gap’ between men’s and women’s education is particularly marked, with only half of women able to read or write, 40% of girls leaving school before they reach the fifth grade, and 68% of girls marrying before the legal age. Poverty is one cause, but just as important are the cultural and social barriers and the poor quality of public education, which prevent many parents from sending their daughters to school. Educate Girls has developed a three-year programme that addresses these barriers by working with local communities and government schools to boost girls’ enrolment and attendance, enhance the quality of education and school infrastructure, improve learning levels and change attitudes to education. BFSS is funding Educate Girls to run this programme in the remote Bhinmal area of Jalore, the worst ‘gender gap’ district in Rajasthan. The grant will enable Educate Girls to support 275 schools, reaching about 30,000 children. Over the three years it aims to enrol over 3,000 out-of-school girls, train teams of girl leaders in each village in Bhinmal, set up Girl Councils in government residential schools and train teachers and school management committees to ensure changes are sustainable over the long-term.